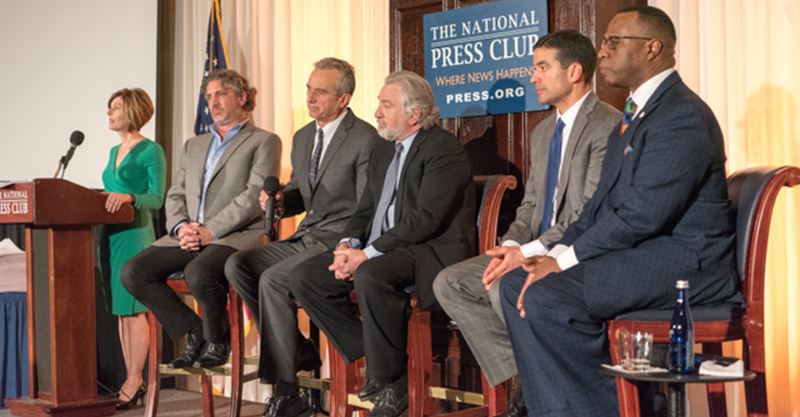 On February 15, 2017, Robert F. Kennedy Jr., Chairman of the Children’s Health Defense, announced a $100,000 challenge aimed at putting an end to using mercury, a dangerous neurotoxin found to be 100 times more poisonous than lead, in vaccines administered in the United States and globally. Kennedy explained that the WMP would pay $100,000 to the first journalist, or other individual, who could find a peer-reviewed scientific study demonstrating that thimerosal is safe in the amounts contained in vaccines currently being administered to American children and pregnant women. Kennedy believed that even “a meager effort at homework” would expose that contention as unsupported by science. He believes the science is unequivocal that mercury is a serious health hazard and exposure is linked to many different diseases and conditions. 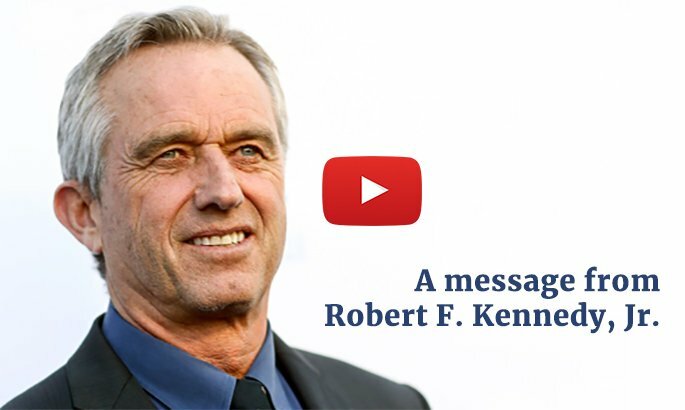 Kennedy, along with Robert De Niro (actor and father of a vaccine-injured child), showed the journalists in attendance, and the tens of thousands watching the live stream broadcast, a 2-foot tall stack of studies proving thimerosal’s toxicity and the handful of mainly epidemiological studies claiming to show that thimerosal was not a concern. As the science is unequivocal that mercury is a serious health hazard and exposure is linked to many different diseases and conditions, De Niro and Kennedy legitimately offered a reward of $100,000 to anyone who could find a study that effectively rebutted that large stack of published science. The $100,000 challenge is officially over. No entry met the criteria for the challenge. Below are: the initial press release, an open letter from Kennedy and De Niro, a video and transcript of the conference, the Challenge, criteria for evaluating submissions and the results including our responses to those who submitted entries. The results of the challenge support our position that there are no studies that exist that prove that it is safe to purposefully inject mercury into anyone, especially pregnant women, infants and children.